The battle to stop a deadly and contagious virus spreading through Europe's pig farms. 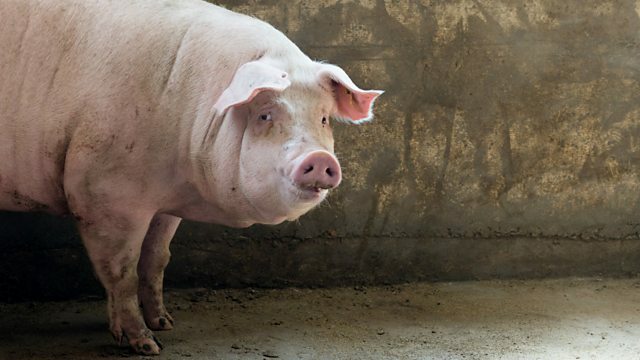 A deadly and highly contagious disease is spreading across Europe's pig farms. African Swine Fever Virus doesn't harm humans, but once it infects domestic and wild pigs almost all of them die through internal bleeding within days. More than a million pigs are thought to have died as a result of the latest outbreak, devastating hundreds of farms and damaging exports. It's the first time the virus has ever hit Europe's pig farming heartland. With a vaccine still years off, and amid fears the disease could reach as far as China, we ask if the virus can be stopped, and how. Emily Thomas meets people who think the answer lies in building fences between countries, genetically engineering pigs, and even calling in the army to hunt down disease-spreading wild boar.